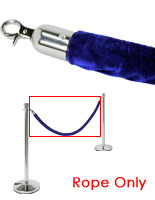 Does your business use replacement stanchion ropes for directing patrons and line queuing? 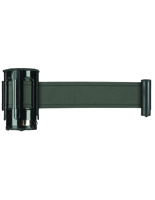 Browse this online website for affordable barrier systems and compatible accessories at deluxe or economy price points. 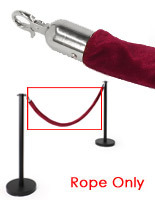 These replacement stanchion belts, also known as line queue cords, are extra-long, allowing 6 feet to remain between each post when placed on the red carpet. This decreases the number of stand and toppers needed, saving your company money and time. 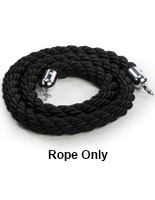 Some of these velvet and nylon twist replacement stanchion ropes, like line queue supplies, are from our popular QueuePole line. 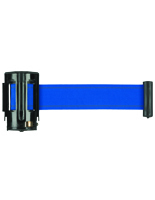 The inexpensive retractable belt systems hail from our equally popular Tensabarrier brand, which boasts a multitude of colors and 7.5 ft. length. These line queuing supplies are available in myriad styles for casual or upscale environments, from traditional to contemporary. 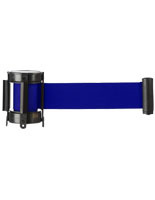 Replacement stanchion belts like these are perfect queuing tools for movie houses, live performance theaters, banks, museums, upscale retail stores, casinos, and banquet halls. These barriers can be placed at ticketing offices as reliable directional equipment, in lieu of hiring extra staff. These stanchion ropes that are fixed or retractable belt styles come with chrome or brass clips. 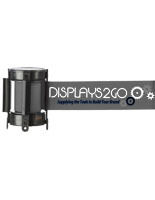 For large gatherings, floor space can be maximized by placing poles in a zig-zag pattern six feet apart. 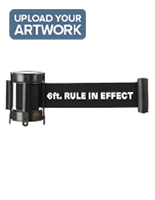 These crowd control stanchion belts, also known as retractable belt systems, are 78” long, so fewer posts need to be purchased. Elegant velvet belting is available in black, blue, or red/burgundy with chrome hooks that clip onto the pole ends (the red/burgundy selection can also be purchased with brass clip hooks.) 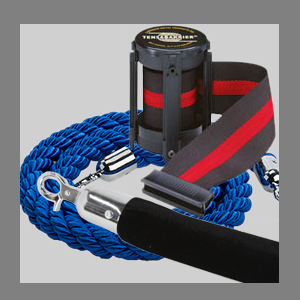 Customers can save money at this online store by purchasing velvet and nylon ropes and retractable belts alone to replace worn out supplies - most stores only allow the customer to buy an entire system. 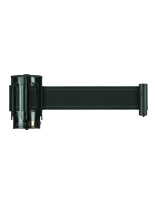 What features distinguish nylon retractable belt, rope, and velvet post accessories sold here, from competitor models? 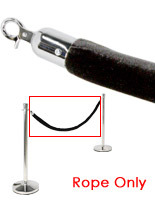 Stanchion ropes are sized longer than other brands (78”), which means fewer systems need to be purchased since they can be placed a generous 6 ft. apart, minimizing the need to spend more money on fixtures. Retractable belt systems from Tensabarrier are nylon flat herringbone-style, and available in tons of colors: matte black, gray, dark gray, blue, Navy blue, green, dark green, red, maroon, cream, black w/ white stripe, black w/ blue stripe, & black w/ red stripe. 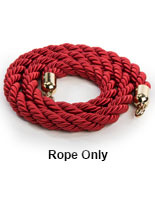 Twisted nylon roping from the QueuePole collection is sporty, for more casual environments, and available in red, blue, and black with chrome & brass clip hook options (red is also sold with brass hooks). 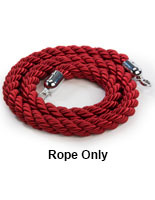 Also from QueuePole is velvet roping which connects posts together in in the class colors black, burgundy red, and blue with chrome and brass clip hook selections for an upscale venue. 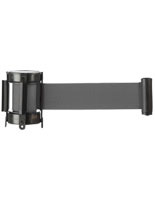 Crowd control accessories from our popular online store are compatible with myriad fixture designs and colors, with chrome and brass finishes, with contemporary to traditional lines. Unlike competitor sites, which sell fixtures and roping together, this website offers the user the option to purchase belting individually in the event of wear or loss, which saves money since fixtures are not bought that aren’t needed. 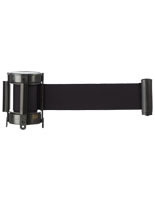 Coordinate these crowd control stanchion cords with the commercial post systems available in three designs: traditional tulip top, contemporary flat top, and upscale round top in chrome, brass, or black finish. These line queuing accessories can be purchased with compatible ropes, poles, and sign frames, or alone. For an affordable fancy black tie event on a red carpet, choose velvet belts in black, red, or blue with your barrier system. 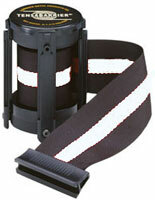 For a toned down look, try retracting nylon or nylon twist designs. Buy a sign topper for extra directional impact. Shop the line queuing systems available at this website, where experts have pulled together durable, elegant, and diverse exhibit stands and accessories. 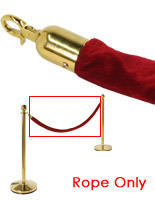 These plush quality stanchion cords protect fragile merchandise in a store or exhibit items in a museum by diverting visitors away from them. 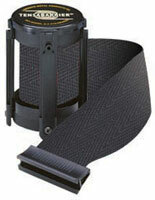 The rope and belt supplies are sold with chrome and brass hooks for a secure, upscale appearance.